The entire content below was written personally by the client of the Ventive installation. One of the rooms in the Edwardian house we had just bought had a bad black mould problem. We had a damp surveyor come in who explained that problem was from a combination of factors: the room being one of the coldest rooms in the house, with 3 external walls, high levels of humidity (being adjacent to the bathroom), and poor ventilation. There was a window at one end of the room but this was possibly not sufficient to provide ventilation for the size of the room, and we discovered the previous owners had completely blocked up the chimney by stuffing an old curtain up the chimney (and had done the same throughout the house). We set to unblocking all the chimneys to improve the ventilation throughout the whole house, but soon realised that while this improved the ventilation, the cold draught it introduced also noticeably reduced the warmth in all the rooms with the now unblocked chimneys. So we were excited to find out about the Ventivesystem – not only was it a way of preserving the ventilation, while minimising heat loss, but it would be minimally intrusive to install as would utilise the existing chimneys (compared to other ventilation systems requiring ducting to be run through the house) – perfect for a retro-fit of a period home. We have had 6 Ventives installed, and have noticed the massive difference it has made. While I can still feel a flow of air if I stick my hand up the fireplace, there isn’t the massive drop in temperature in this that would normally occur. It is also reassuring to know that we will have a continual exchange of fresh air coming into the house, even if we were unable to have our windows open, e.g. when at work all day, or if we were away for a couple of weeks. The process of installation has gone smoothly – FireCrest have been fantastic in dealing with unexpected complications in the installation of the system in the kitchen where a previous owner had removed the fireplace, and working out a solution for this. Adam has been a pleasure to work with, and we only wish our other contractors were like him! 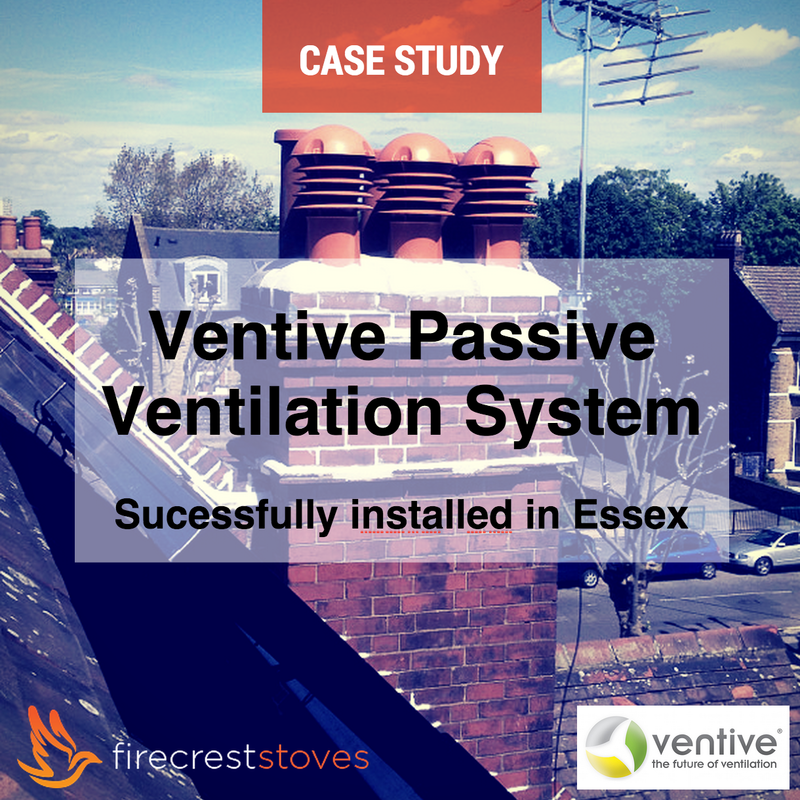 We would definitely recommend having Ventive installed, and using FireCrest to do this!